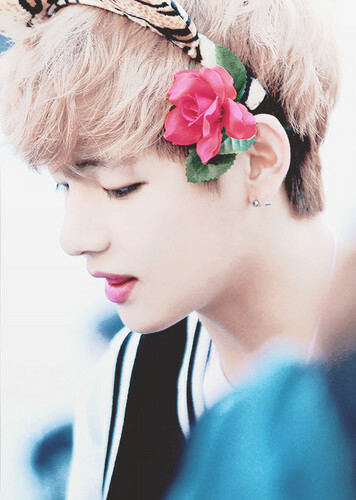 ☆ Kim Taehyung / V ☆ . . Wallpaper and background images in the V (BTS) club tagged: v kim taehyung bts bangtan boys taehyung. This V (BTS) fan art contains bouquet, corsage, posy, and nosegay. There might also be camellia, camelia, and kimono.